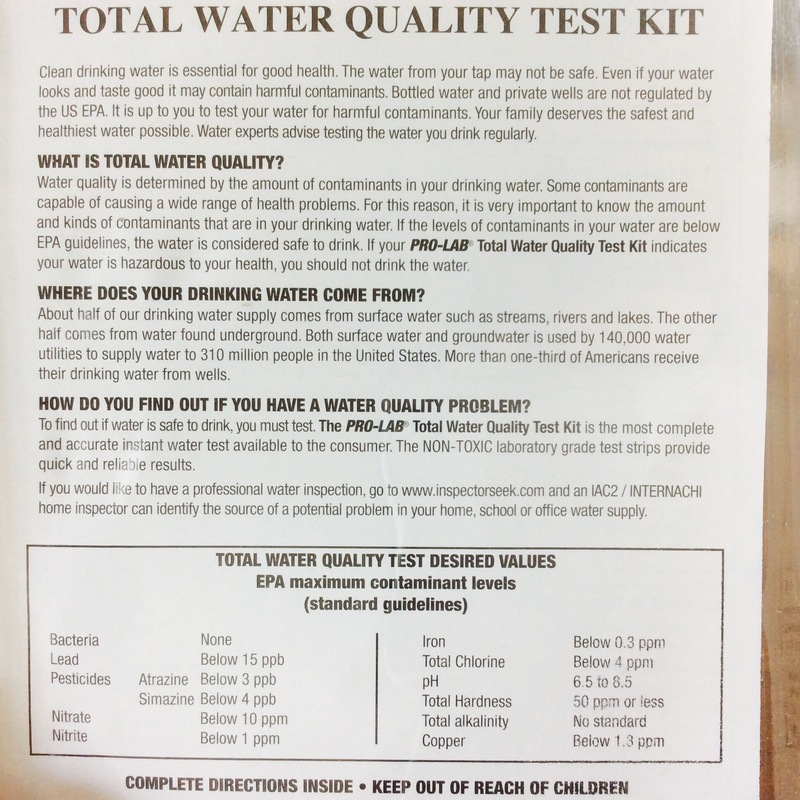 As with any new house, or new to us, we wanted to be sure of what was in our water. Yes, when you purchase your home through a lender they do test the water but rarely do you get very many details. After being in the house for a few months we did notice the water is super hard. Residue on the cat water dish was a good indication and don’t get me started on the sink and toilet residue. In an effort to be “In The Know” we bought this kit from a local hardware supply. It tests for everything, giving indication levels versus simply a positive or negative result to the presence of a particular substance. This is all in preparation for water treatment installations we had been contemplating over the last few months. After all, who wants to install brand new appliances such as a dishwasher and fridge ice maker when the water may be unfit? The test kit directions were very simple to understand and use. The most frustrating part is having to wait for the bacteria test to sit for 48 hours prior to taking an official reading. 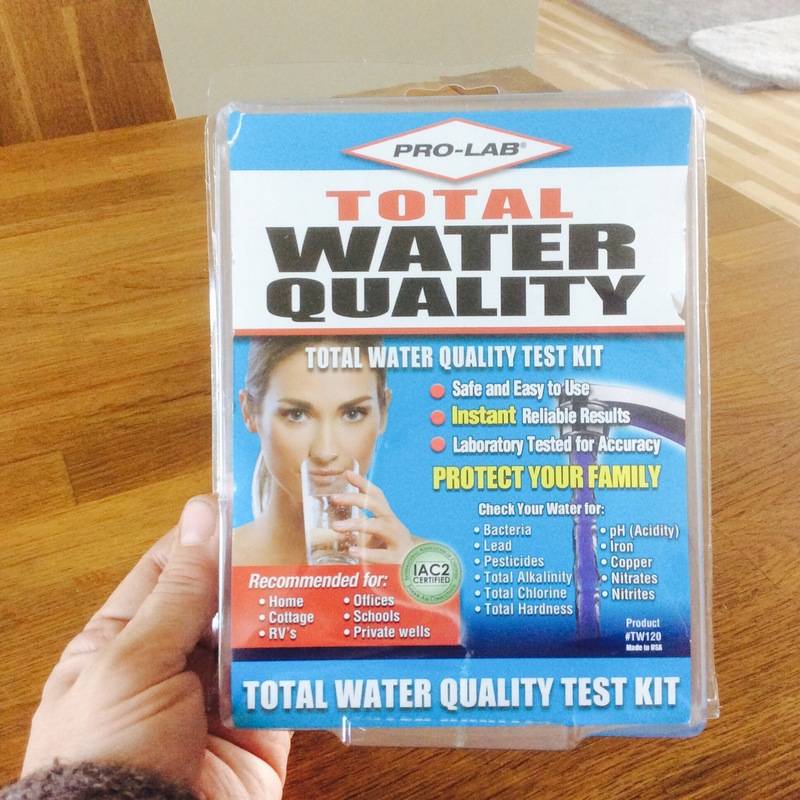 I’d definitely recommend this test kit to any DIYer looking to improve the quality of water running through their pipes. Below you will find my results and eventually I may blog about what we decide to install to ensure we have the best quality of water we can for our family. Lead – Lines show darker next to number 1 indicating no presence of lead. Pesticide – Both lines show but not equally darker or barely showing near number 2 indicating no presence of pesticides. This test strip showed 0 iron indicating LOW presence of iron in the water. This test strip showed 0 copper indicating the water is SAFE.